The majority of the best resorts on the Big Island are located on the Kona side of the island. This is the dry side and closer to the Kona airport. While Hilo does have an airport, you will most likely fly into Kona. The Kona Airport is north of Kona and south of Waikoloa. Most of the resorts on the island are north of Kona and located on the Kohala Coast. An area that is dry and sunny almost every day of the year. While you may see some recommendations advising to stay on different parts of the island during your trip, I recommend staying in the Kona/Waikoloa/Kohala area. While the while Big Island is big, everything is easily accessible as a day trip. 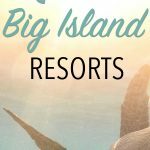 This is not a list of all of the resorts on the Big Island, but a combination of the highest rated and most popular resorts. 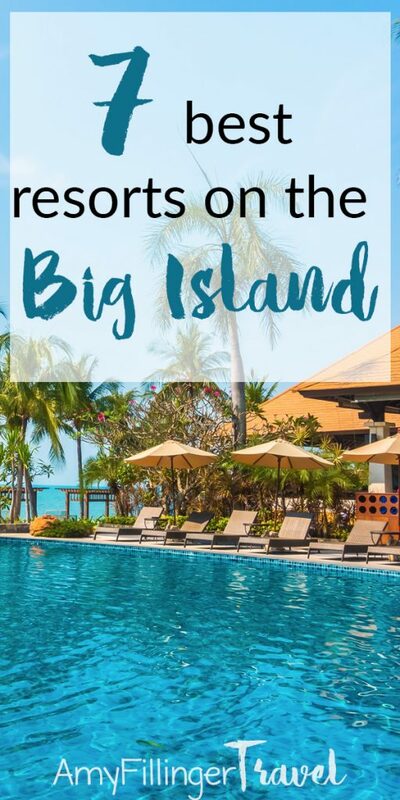 As a Hawaii Travel Agent, these are the 7 resorts that I get the most questions about. They are listed in no particular order! 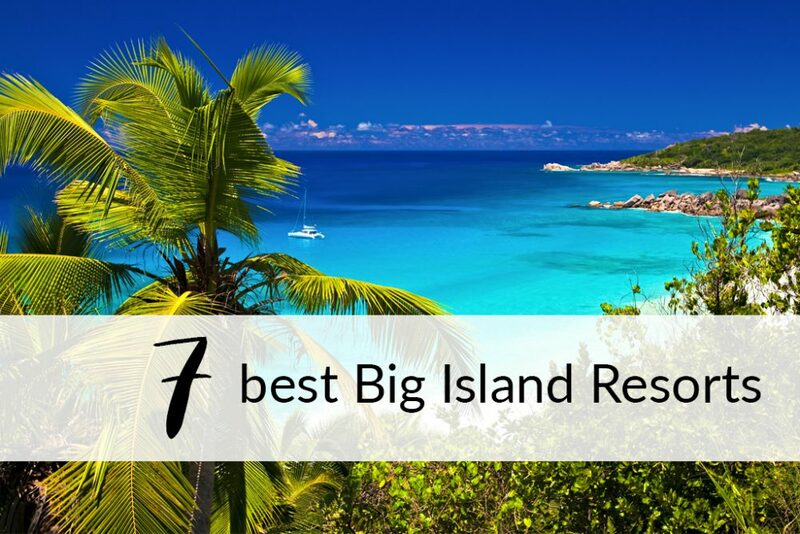 Once you figure out where to stay, don’t forget to check out the 7 best things to do on the Big Island. The Fairmont Orchid is one of the most popular resorts on the Big Island. Perfect for both couples and families, the resort boasts six restaurants, golf courses, tennis courts and a spa on 32 oceanfront acres. The service at the Fairmont Orchid is excellent, and the food is very good. The resort also has a year-round children’s program making it a popular destination for families. 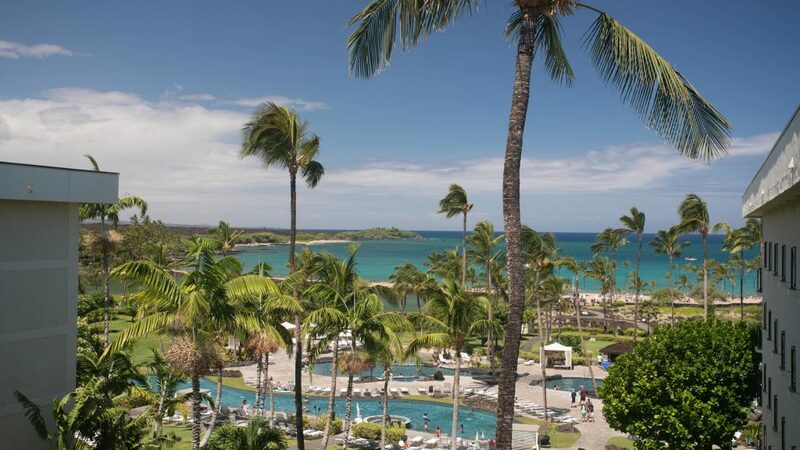 The Westin Hapuna beach recently underwent a $46 million dollar renovation and was named a Westin property. The changes have been for the better and guests are raving about the re-imagined property. 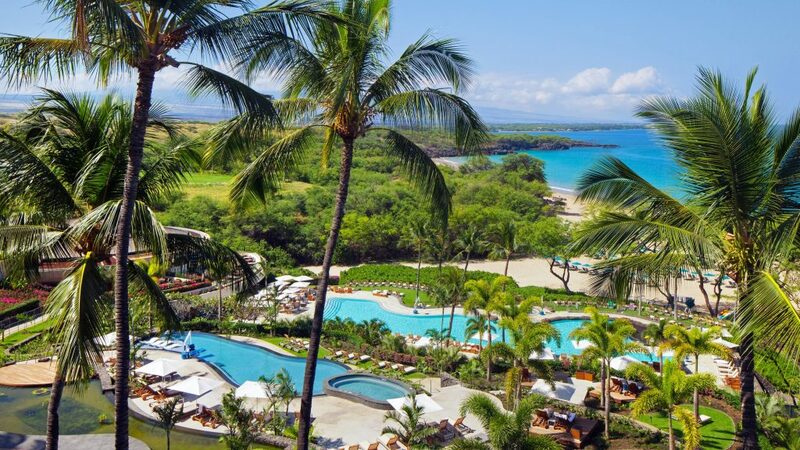 Although it is one of the most affordable resorts on the list, the Waikoloa Beach Marriot Resort and Spa has beach access and is adjacent to two championship golf courses. The resort is within walking distance of many shops and restaurants. The biggest downside to this hotel is the small bathrooms and lack of wifi in guest rooms. You might also enjoy 10 things to know before visiting Hawaii. 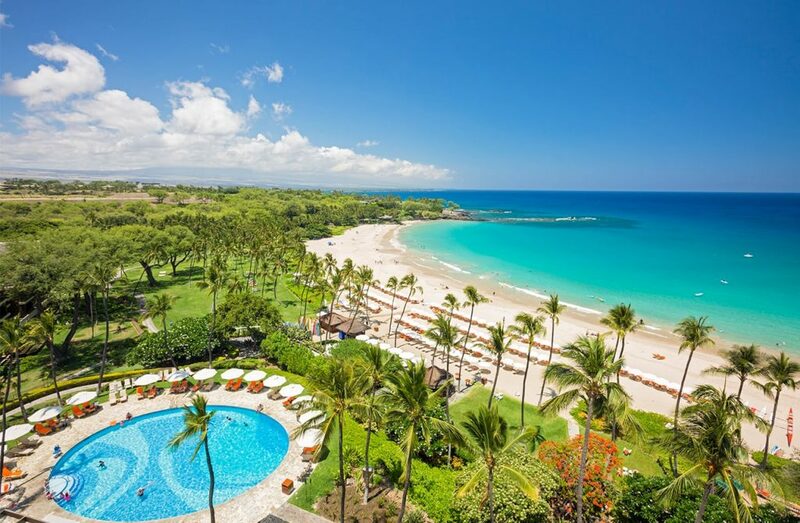 Mauna Kea Beach Hotel is home to fantastic golf courses and located on one of the best beaches on the Big Island. This resort also boasts some of the best dining options on the Big Island. The resort’s Mauna Kea Spa by Mandara is definitely worth a mention as well. 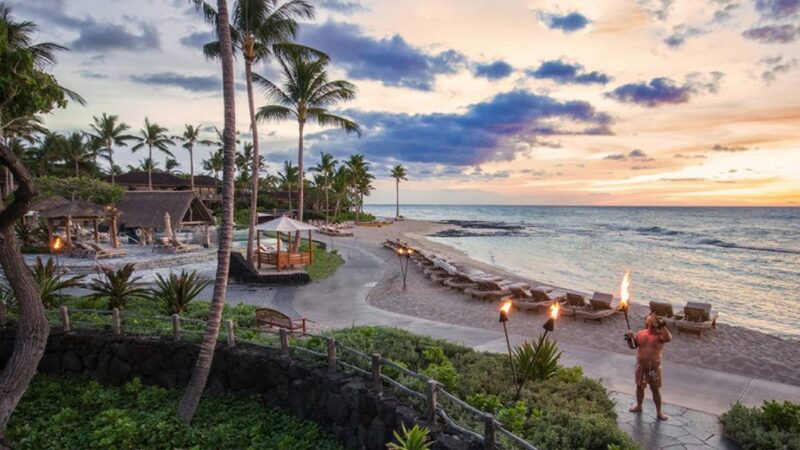 The Four Seasons Hualalai offers the best of the best that the Big Island has to offer. From beachfront dining to deluxe suites and a luxurious spa, the Four Seasons has it all. You can even take Ukelele lessons or learn about Hawai’i’s cultural history at the Ka’upulehu Cultural Center. The Four Seasons has built its reputation on the highest commitment to quality, and it does not disappoint! Whether you are visiting the island as a couple or family you will love the island hospitality that you find at the Four Seasons Hualalai. On a personal note, the Four Seasons is also just north of Kekaha Kai State Park which is my favorite beach on the island. Want to stay closer to Kona? 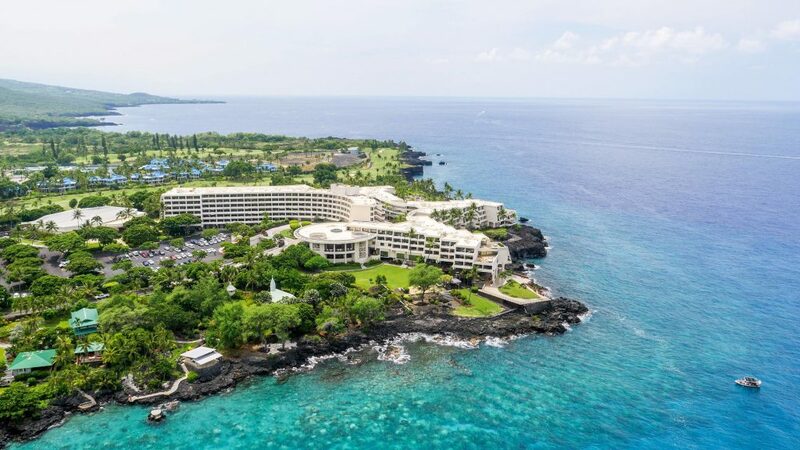 The Sheraton Kona Resort and Spa is located in Keauhou, just south of Kona town. 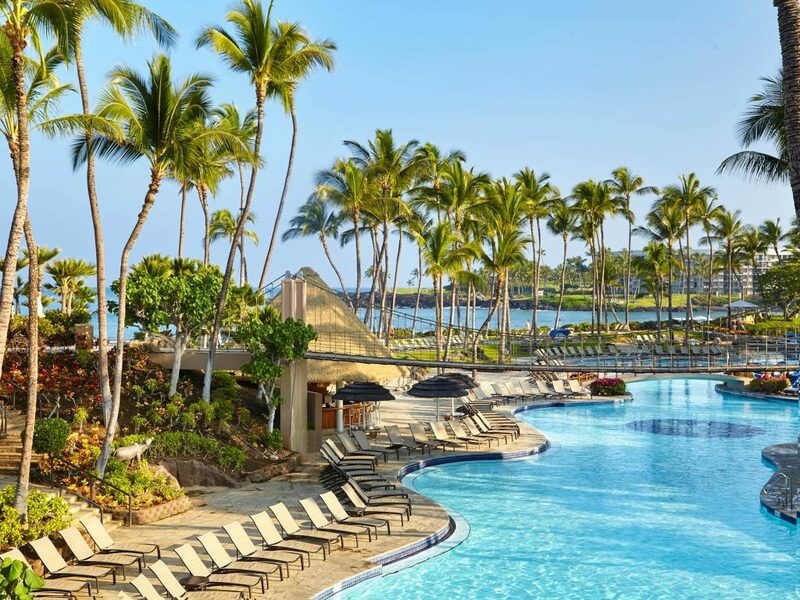 The Sheraton was recently renovated and is home to the Ho’ola spa where oceanfront treatments await. The Mauna Lani Bay Hotel and Bungalows is home to famous Francis H I’i. Brown golf courses. Mauna Lani is currently closed and going under major renovations but will reopen in November 2019. The re-imagined Mauna Lani will feature 30 oceanfront acres and 3 miles of shoreline. While it is currently closed, it is opened for bookings after the grand re-opening in November. The massive Hilton Waikoloa Village (1,241 rooms!) is one of the more affordable resorts on the Big Island. That being said, there are upsides and downsides to this mega-resort. First, let’s talk about the good parts of this resort. This 62-acre resort is home to two golf courses, and a tram and boat system to help you get around the large resort. It also has several fantastic pools. Now for the bad news, while the resort is oceanfront, it does not have direct beach access. You’ll have to leave the resort to go to an actual beach, which is one of the Hilton’s biggest downfalls. The biggest, however, is the lack of service. The service is very lacking for a 4-star hotel. The quality of food is also only okay for the price. I hope to be able to update this someday with a better review, but for now, I recommend that my clients stay elsewhere if possible. Do I need a rental car in Hawaii? The questions about Hawaii that you’re afraid to ask. Ready to go? 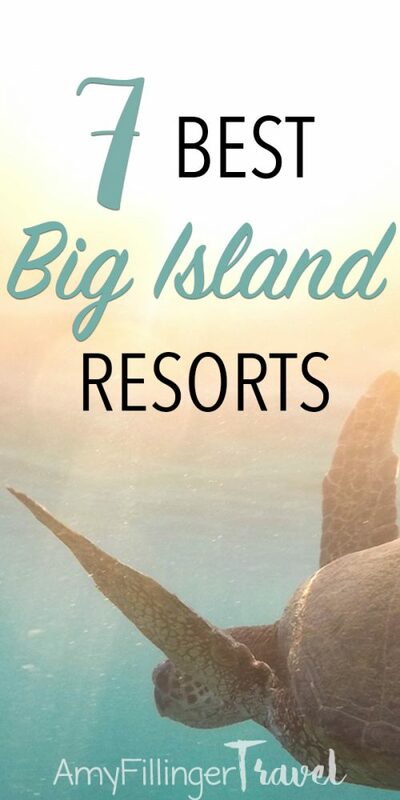 Let’s find the best Big Island resort for you! If you’re looking for current pricing and availability, contact me with your dates and let’s get started! You can use this form to give me more info on your current travel plans, or simply email me to get started. As a Hawaii travel agent, my job is to stay up to date with the latest that the islands have to offer. Dreaming of Hawaii, but not ready to travel just yet? Sign up for my newsletter! 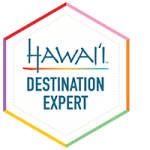 You will receive a weekly email with travel tips, Hawaii deals and more. I’ll be there whenever you’re ready to plan your vacation. Sign up below. I love this post, but honestly it’s making me so jealous. I’m set to come to the states for my next vacation in Florida, and if I could find half of these views, I’d be happy. Nice photography too. Thanks so much for sharing. Fun! When will you be visiting Florida?? I love Florida – we even lived there for a while! You really can’t beat Hawaii but Florida has some beautiful beaches! That’s the second most popular place that I send clients and I love visiting too.